Happy Sentiment Saturday lovelies. 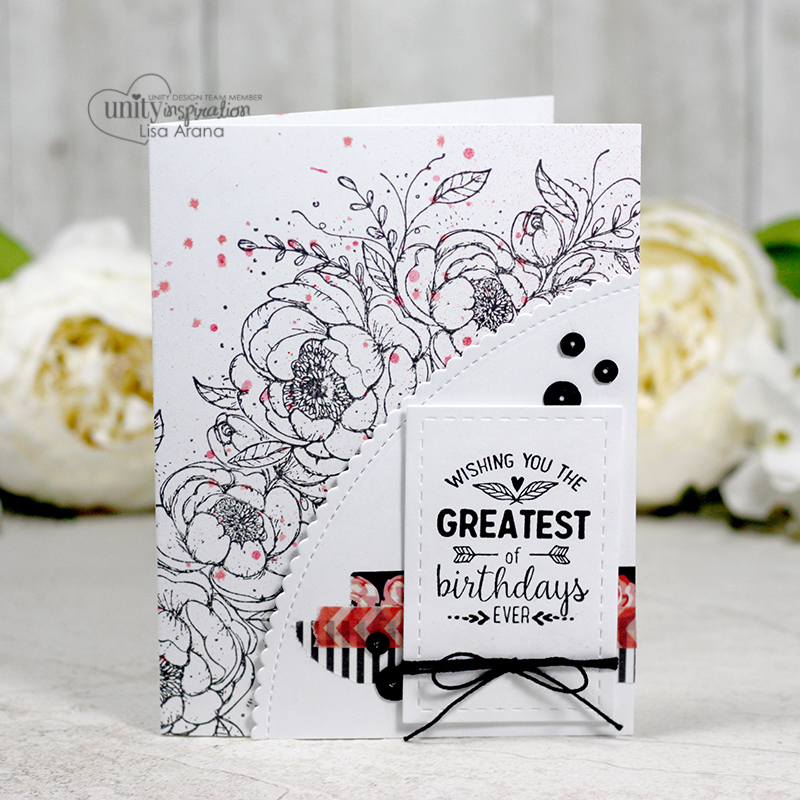 I’m sharing a card using a Unity Stamp Company kit with an amazing floral image to match an amazing sentiment kit. I have a fun design as well that you can keep simple or dress up with extras. I’ve had this idea in my head for a while now. I couldn’t wait to see how it turned out. It’s quite fun. 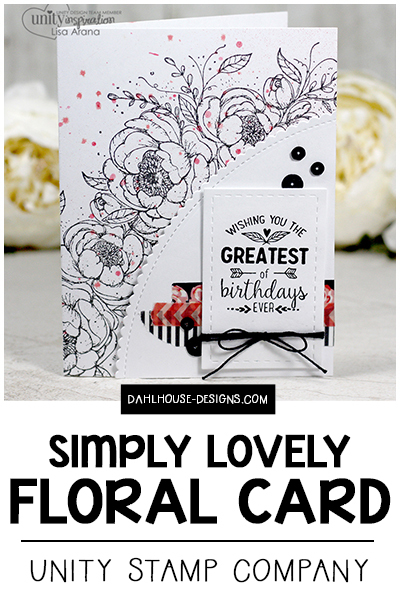 Something about the way the floral image curves and then the popped up scalloped corner for the sentiment is a happy surprise. I had a simpler design in mind, but as always, my creativity changed course as I went along. I love the addition of the washi tape and sequins to add a bit of pizzaz. Start with a standard size A2 card base (4.25 x 5.5 inches). 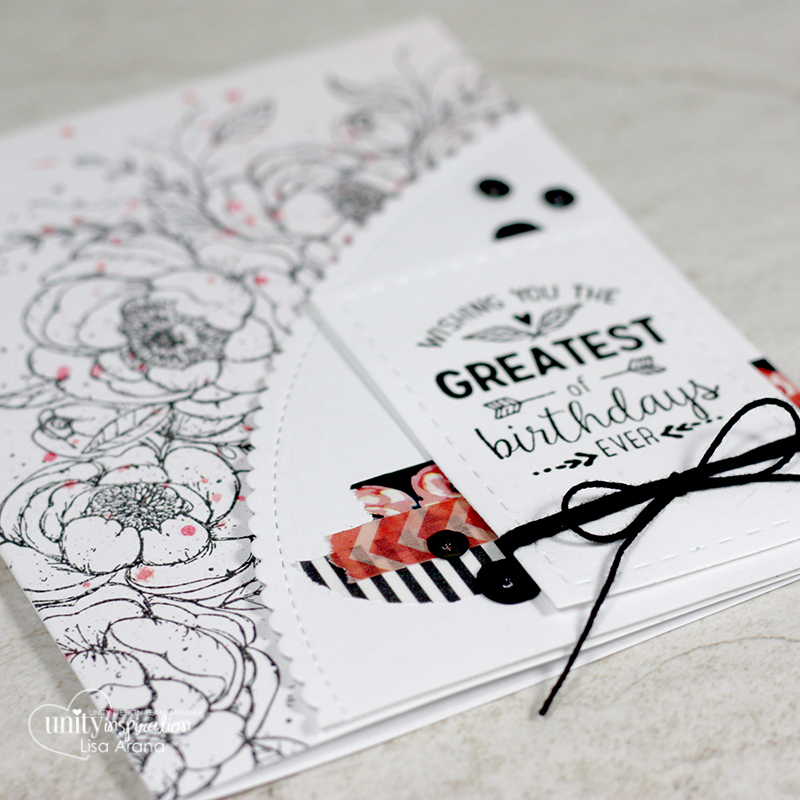 Stamp floral image on the top right side of the card in an arch and then create a mask. 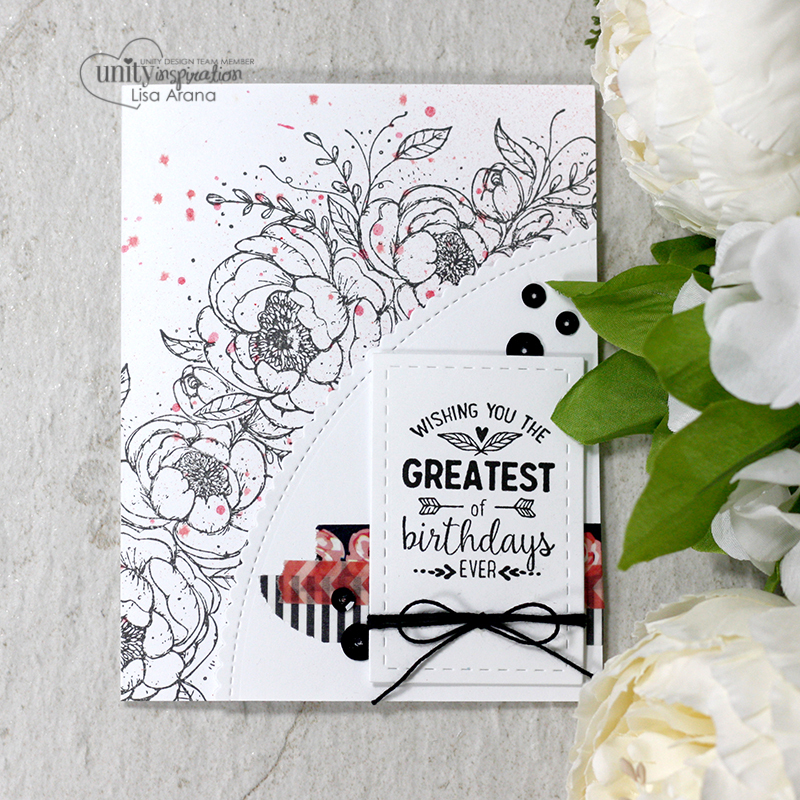 Stamp the floral image again in the bottom left side of the card to create an arch over the masked image. Remove the mask. Add splatters to the background using ink and paint brush. Die cut a scalloped corner and add washi tape. Stamp sentiment on cardstock and die cut with a rectangle. Tie a bow at the bottom of the rectangle and pop up on the card with foam adhesive. Glue sequins onto the card with a strong glue (like Glossy Accents). Avery Elle Simon Says Stamp Unity Stamp Company Wanna Sketch?